India’s states have been adopting solar power at a fast pace, with Karnataka being the leader at more 5300 MW of solar capacity. But there is a wide gap between the top and the last state on the list at 5,328 MW and just 845 MW respectively. Let us see how the different states of India performed on solar installations during the year. The states’ ranking along with their total installed solar capacities at the end of 2018 and unique characteristic is given below. Solar energy now accounts for 6.3% of total installed capacity. The state issued tenders worth 90 kW for solar rooftop project to be installed on the premises of Patiala Urban Planning And Development Authority. 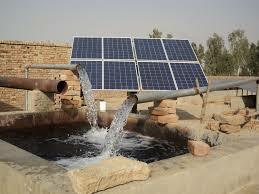 Punjab is also installing solar pumps across the state under the solar hydro pumping project. 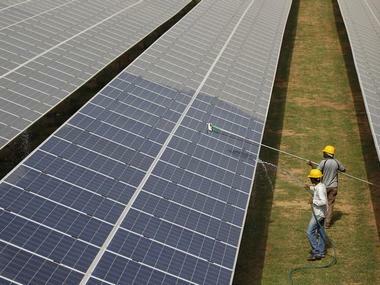 MNRE is planning to install 10 lakh solar pumps in the country by 2020-2021. Solar energy now accounts for 3.5% of total installed capacity. The state government announced a subsidy of Rs 15,000 per kW for the development of rooftop solar projects which will be provided to residential consumers. The state government has set a target of 10,700 MW for solar power, including 4,300 MW from rooftop solar projects, by 2022. Solar energy now accounts for just 3% of total installed capacity. The state is strengthening its policy of providing financial assistance for using solar energy in cottage and micro industries. Solar energy now accounts for 7% of total installed capacity. The state deploys an innovative decentralized solar policy. It also hosts the Rewa Ultra Mega Solar plant. Solar energy now accounts for 5% of total installed capacity. Gujarat is home to the very famous Charanka Solar Park. Very recently, the airport of Ahmedabad commissioned 700 kW rooftop solar plant. Solar energy now accounts for 6.7% of total installed capacity. According to Tamil Nadu’s solar energy vision, solar energy will be the major contributor to a sustainable energy future for the state. The state is looking at various measures such as establishing a single window system for technical/ financial support, encouraging public-private partnerships and JVs to mobilize investments, facilitate ease of doing business in solar, etc. Solar energy now accounts for 12% of total installed capacity. The state has set an installation target of 5 GW of solar energy capacity over the next five years, as per new Solar Policy 2018. Solar energy now accounts for 14% of total installed capacity. The state aims to install 3,780 MW of solar capacity by April 2019 and increase solar’s share to 17% by 2021. Solar energy now accounts for 22% of total installed capacity. In a bid to further encourage solar energy, Karimnagar, Telengana’s fastest growing city has made it mandatory for commercial establishments, houses, apartments and community halls to install solar panels on rooftops if their built-up area is more than 2700 square feet. Karnataka tops the list adding 5 GW of renewable energy capacity in 2018. Solar now accounts for almost 20% of total installed capacity. The state has upwardly revised its solar installation target to 6000 MW by March 2021 out of which 40% will come from rooftop solar installations. The solar policy in Karnataka encourages public-private participation in this sector, solar rooftop generation and decentralized generation where the grid is inaccessible. Also, read how did Karnataka become the top solar state in India.